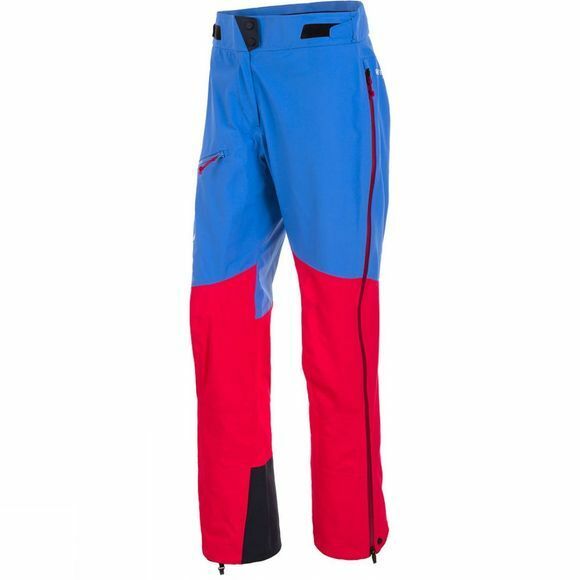 The Womens Ortles 2 GTX Pro Pants are Salewa's are made from tough 3L Gore–Tex Pro fabric. They feature long, waterproof two–way zips for ventilation, integrated gaiters and reinforced cuffs for protection from ski edges or crampons. In addition, the cuffs have hem hooks and loops for attachment to mountaineering boots or ski boots.